The model of a given network is composed of submodels of Ethernet switches, workstations and servers. It reflects the process of frames delivery by switches using the address table and the forwarding procedure. Zaitsev D.A: “Switched LAN simulation by colored Petri nets” In volume 65(3) of Mathematics and Computers in Simulation, page 245-249, 2004. 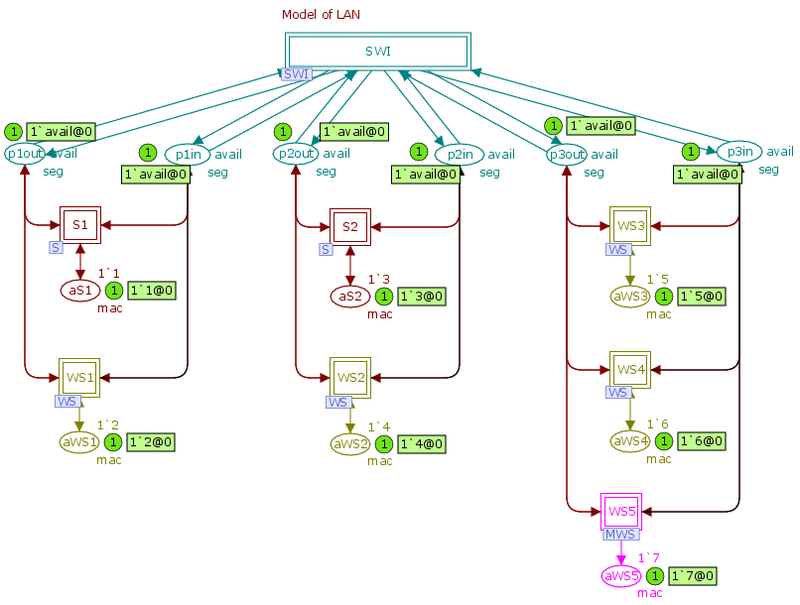 The model is used for the evaluating network response time directly during the process of simulation. The special submodel of measuring workstation calculates the individual response times for each query and the average network response time. The model is devised for the developing real-time systems and was applied on railway dispatcher center.